Poly(ethylene glycol) (200) dimethacrylate | Polysciences, Inc.
PEG-based cross-linked polymeric materials (hydrogels) are suitable carriers for drug delivery and various other biomedical applications. 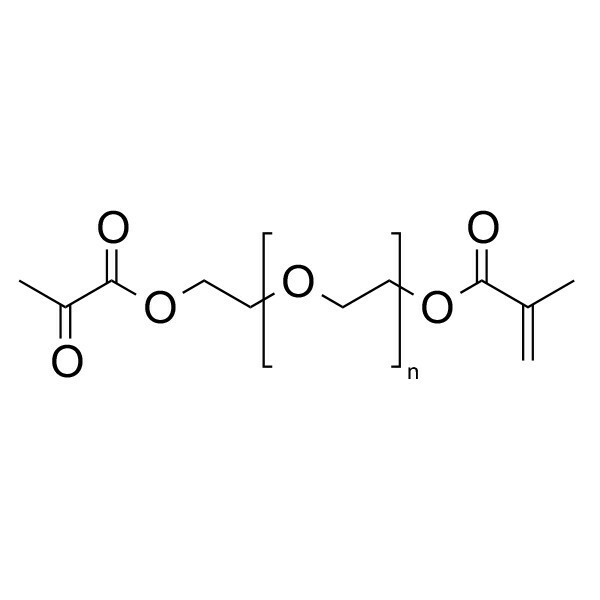 PEG 200 dimethacrylate (PEG200DMA) is a long-chain hydrophilic, crosslinking monomer. Molecular weight of PEG unit is approximately 200 (n=~4).